I have already sold off my Pulsar 220 DTS-Fi a couple of months back..
Back in the early-mid nineties, I was almost inseparable from my bicycle. From going to school in the morning and coming back home in the afternoon, to attending evening tuition, or just to hang out with my friends, my bicycle used to be my noble steed. But once I graduated from high school, bi-cycling just faded away from my life. 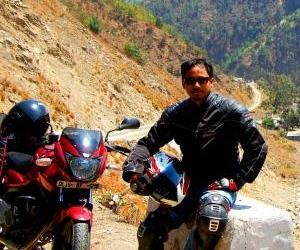 Amidst "College - Engineering - MBA - Girl Friend - Professional Job - Marriage" and not to mention my love for motorcycles and my Blog: Bike Chronicles of India, where was the time for going back to bicycling once again? But just yesterday I got myself a brand new bicycle and have made a resolution to get back to cycling like I once used to in high school days nearly 18 years back. The only difference would be that instead of cycling to school, I will now cycle to my office/work place and instead of attending evening tuition, maybe I would be occasionally visiting the neighborhood grocery shop. So why cycle to work? The "health" aspect of cycling and "saving the planet" are the most fashionable statements usually made for taking up cycling. But it is actually the "escalating like mad", petrol prices that has been the real catalyst for me to take up cycling. By not using my car for my daily office commute, I will be saving almost 50% of my monthly fuel (petrol) bills..!! 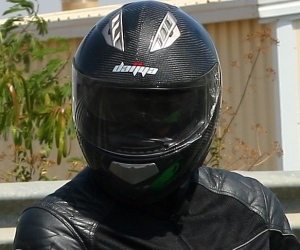 Why not commute to office on a motorcycle instead of a car? I am at that point in my life where I have to decide on whether to give up motorcycling altogether. After a year of car ownership, I now prefer my car to commute to the city. A four wheeler is definitely more comfortable, less stressful, safe and spacious for carrying the shopping bags. I have no qualms in admitting that I now love the comfort of driving a car with my family as it keeps us safe, comfortable and happy. I have already sold off my Pulsar 220 DTS-Fi (Fuel Injected) a couple of months back. 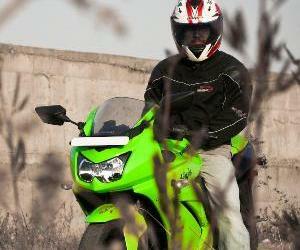 But that does not mean that I have lost my love and passion for riding motorcycles. I now realize that this is actually the next stage of my life as a "biker next door". Where I want to enjoy riding motorcycles purely for pleasure and not to reach from point A to B. 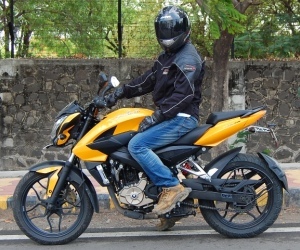 By cycling to work, it will actually liberate me to ride my next motorcycle (most probably the KTM 200 Duke) purely as a hobby/pleasure/leisure activity and not reduce it to a mere commuting tool. And if you ask me, you should take up cycling too. hey payeng even i bought a new firefox target today itself ..
Hi Kunal, its good to know that there are others like me too. Stadal, recently I have also started cycling around for small shopping. Never thought that the humble 2 wheeler I bid adieu to years back, will ever come back in life, but it has and too for a good reason. its good to be back to cycling. Q 1 : Why Btwin? Q 3 : How much is the distance is from your house to office and how much load do you carry to and fro? A 1: I had also checked out bikes from "Firefox" and another brand called "Raleigh". The Firefox bikes were good compared to the Raliegh, but then I found the btwin slightly better in terms of overall quality and attention to details. Will post a detailed write up on my new cycle on a later post. A 2: The helmet cost Rs. 999 and is from "btwin" itself. The Shorts, Shades and floaters are not part of the bike's package. Would be cumbersome to put on/off and carry knee/elbow guards to my office daily, so currently haven't got them. A 3: It's around 6-7 kms (one way) trip from my place to office. Am keeping my office laptop in the office itself, so the back pack remains quite light. A 4: Office timings are pretty early in the morning, so that should take care of the Summer. Very nice effort. I bought a cycle of a brand called Schwinn. At least it saves fuel and money! Also makes you stay fit. Good job. At least few in India may turn a responsive ear to your article and decide to buy a cycle. Great cycle. Where can i buy this in Pune? Payeng bhai, I know the real reason for you to sell off the P220Fi, don't deny the truth :) we all know Duke 200 is going to be launched soon, real soon and you are possibly getting ready for that! Necessity sure is the mother of all inventions but i can still afford a vehicle even if the petrol price reaches Rs.100 already Rs.72 in my city to commute to office. But obviously it will eat into my discretionary spendings like movies,restaurant dining etc. I am sure one day mankind will only be riding bicycles or may be electric vehicles hopefully not in my lifetime though. Hi, I am a 5.2" girl and i would like to start cycling to work. Distance 4km one side(heavy traffic). What options can i look at and most importantly, is it a good idea? Thanks. Cyling according to me is a doog idea.. just be sure of wearing protective gear (helmet) and bright clothing to make yourself visible to fast moving traffic. 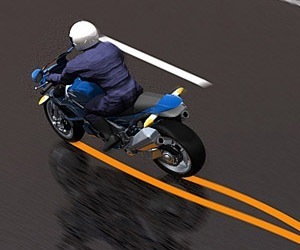 Also be careful not to ride when the roads are deserted/dark/late night for security reasons. There are cycles with different sizes.. my cycle is Medium (M) sized.